UFO's, physic abilities, extraterrestrial encounters, lost continents, aliens and ancient astronauts will be in this category. Avon Books, 14th Printing. The first printing was 1990. 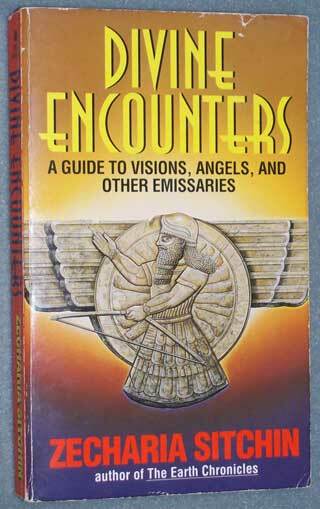 Book is in very good to excellent condition. Illustrated and B & W photos. 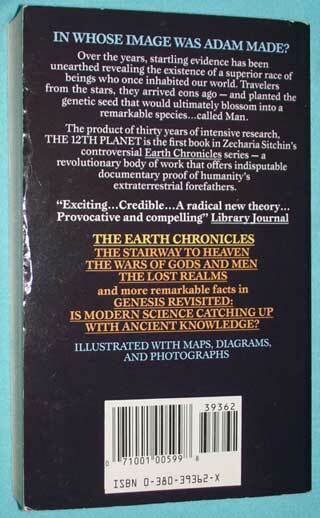 By the author of the ' Earth Chronicles '( The Twelfth Planet, The Stairway To Heaven, The Wars of Gods and Men, The Lost Realms, When Time Began and The Cosmic Code ), a series which offers indisputable documentary proof of humanity's extraterrestrial forefathers, this campanion book documents that our forefathers, thousands of years ago, were knowledgeable in space travel, genetic engineering, computer sciences and a host of technologies that we are just discovering. 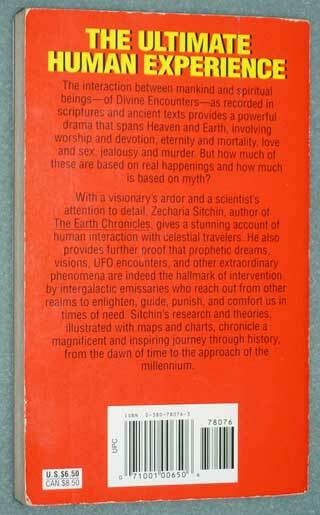 The subject matter is similar to Erich Von Daniken's, that is, ancient astronauts, gods from outer space, ufo's in ancient history were real and were the craft of the extraterrestrials that influenced pre-civilizations. 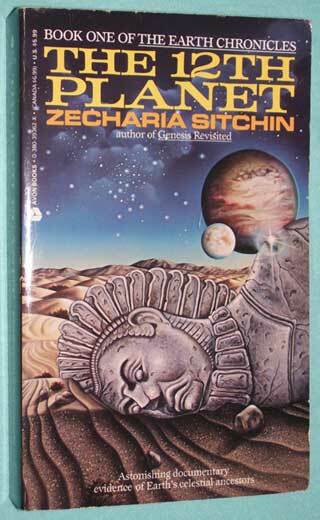 Avon books, 2nd printing sometime after 1996. Avon Books, 16th Printing. 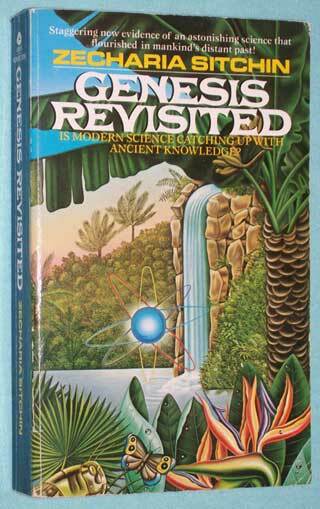 The first printing was 1978. 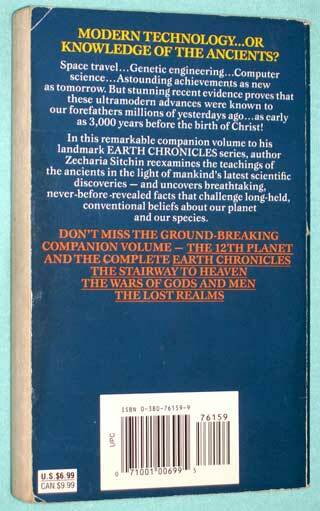 The first book of the author's ' Earth Chronicles ', this series offers indisputable documentary proof of humanity's extraterrestrial forefathers. Cost $5.00 - sold TOS.